Mathematical language sounds so poetic. As I read the words aloud they swirl around in my mouth and mind. Parabolic curves, Infinite circles, Mandalas, Fractal patterns, Sierpinski and Impossible triangles, Stomachion Puzzle, Koch snowflakes, Tesselation; shapely images roll into one another. Where did these words come from? What do they mean? Some words are old memories; others are new to me. Anna Weltman, passionate about teaching children Maths, reveals the role that numbers play in our lives, art and music. She challenges thought and creativity with Eulerian Curves and Mathematical art which is transformed into painting or drawings through mathematical activities. It is an ingenious way to interest children in learning about numbers, their countless uses and their fascinating flexibility. With a simple array of tools you can create smart maths art, or other art projects. Paper, pencil and ruler will suffice. When you graduate to protractor, compass, angle, tracing and graph paper, the possibilities are endless. In this book which affirms it is not a maths book, numbers take on a new dimension. Maths and art are combined. Patterns, shapes and designs are transformed into artistic expression. 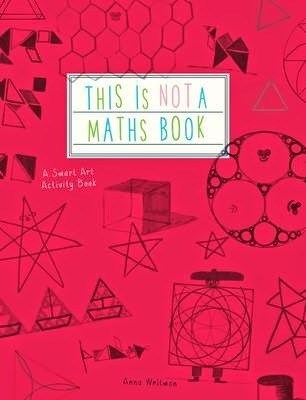 Children of all ages will love This is Not a Maths Book, which is produced on beautiful tactile paper. There is a lengthy Glossary for the language above and all the words I haven’t included. Ideas for projects and how to put them together are offered at the end. Nine pages of graphs inspire, suggest and encourage the creation of mathematical art for anyone with an active, inquiring mind, while being entertained by in a unique, educational way.